What fun is Halloween without a little colour and a lot of weirdness? 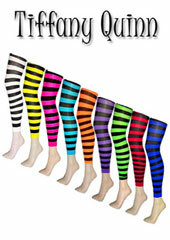 And as always, Leg Avenue provides the perfection solution with their Vampire Bite Print Tights. Set on a plain black, 70 denier backdrop, the designers at Leg Avenue have let their imaginations run wild with this pop-art fang print. 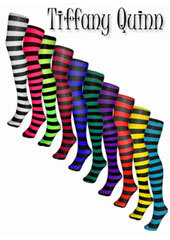 Ideal Halloween hosiery or for adding a little peculiarity to your life.